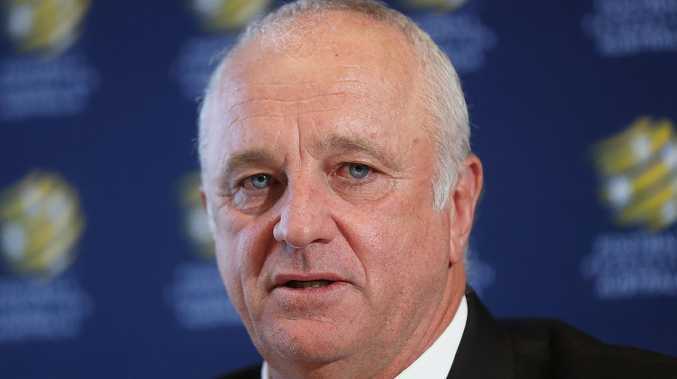 NEW Socceroos coach Graham Arnold believes the national team's goalscoring woes can be solved between the ears. Speaking for the first time since succeeding Bert van Marwijk in the top job, Arnold paid tribute to Australia for giving a "good account" of themselves at the World Cup in Russia, but also expected better things to come now that he is in charge. The Socceroos failed to score from open play in their matches against France, Denmark and Peru, with their only two goals coming from Mile Jedinak penalties. "A lot of the top sides now use sports psychologists for the players - there's a lot of negativity in social media around players and what they read. It can affect people. 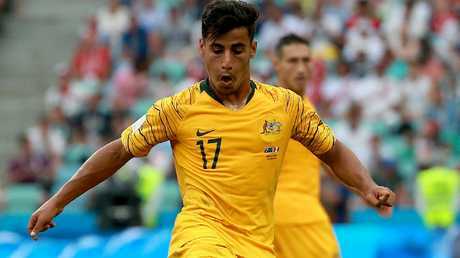 Arnold name-checked Aaron Mooy, Daniel Arzani, Mathew Leckie and Tom Rogic as four players who could help ease the goalscoring burden on the Socceroos, with the country's all-time leading goalscorer Tim Cahill expected to retire after his fourth World Cup appearance. Andrew Nabbout (shoulder) might not be fit for the tournament, where Australia will defend the title they won on home soil in 2015, and Tomi Juric was largely ineffective in Russia. Arnold said the Socceroos would play a "possession-based game" under him, and he believed the team did too much needless running at the World Cup. "The first game against France, we had seven or eight players running over 13km in the game compared to some of the French, who only ran eight or nine," he said. "Maintaining possession and making the opposition work - obviously the ball never gets tired - is something that is shown especially with the bigger team, the higher teams, it's a great tactic for them."